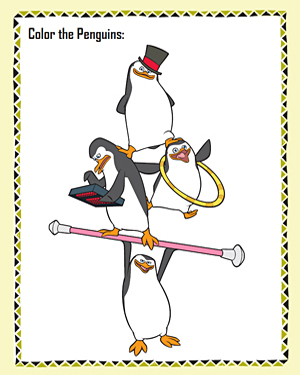 The Madagascar penguins are like no other. They might be small but they are packed with adventure and intelligence. Here, the four of them seem to be trying some circus antic. How wonderful would their balancing act look with just the right dash of color! Go right ahead, bring out your crayons and markers and fill them and their props with color now.